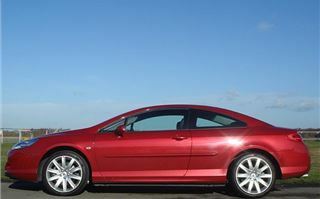 When the Peugeot 406 coupe was new I came out of a shop to find an Italian staring at my test car enraptured. He said it was the most beautiful car he had ever seen, and when I told him it was built in Italy his heart swelled with pride. 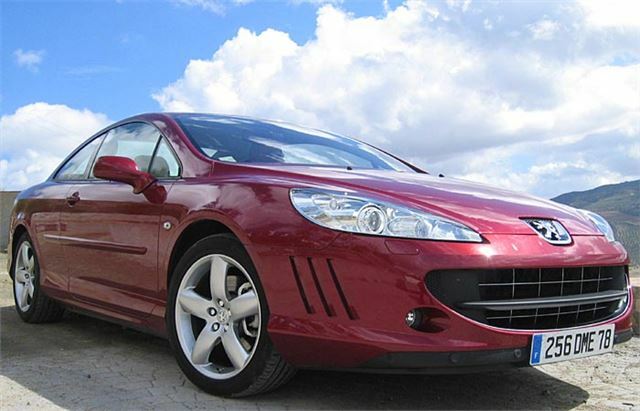 The Peugeot 407 coupe isn’t designed by Pininfarina, nor built in Italy. It was shaped in-house by a team now based at Velizy near Paris, and is built on a separate line of the 407 factory at Rennes. It shares the long front overhang of the 407 saloon, balanced by a long rear overhang and looks better from some angles than others. Front three-quarters, rear and rear three-quarters and side-overhead all look stunning. Fill in the gaps for yourself. 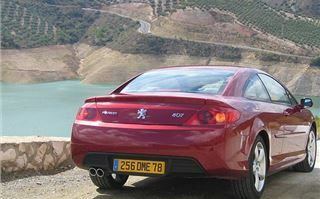 Because it’s longer and lower than the 407, with no hatchback, Peugeot engineers have managed to make it even stiffer, which is always a good start. 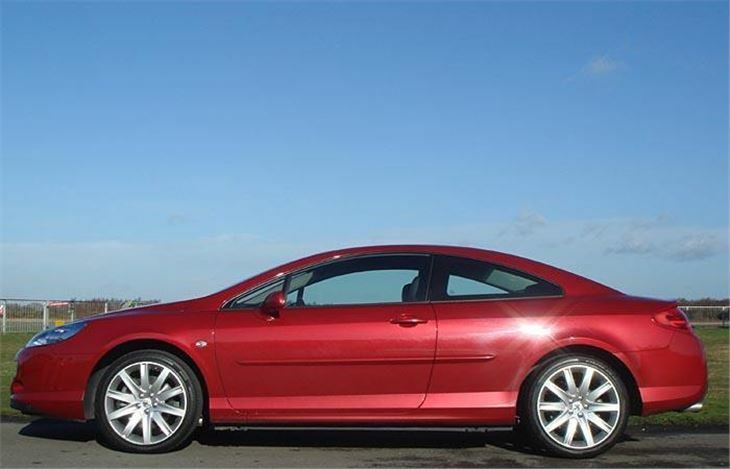 Add the 407’s excellent front and rear suspension and you have the makings of a fine riding, fine handling coupe that justifies its twenty-two to thirty-one grand touring price-tag. There are four decent seats in the bright and airy cabin, a 400 dm3 boot big enough to take everyone’s luggage, and if there are only two or three of you travelling, the rear seat backs fold down 2/3 – 1/3 to provide extra space for baggage. The long doors make entry to the back reasonably easy. Those holes in the sill in the photo locate the doors when shut to help keep the structure very rigid. Once in there, the seats are comfortable and there’s plenty of light so you don’t feel claustrophobic. Legroom is on the tight side of reasonable. But if the driver has his seat set low there’s nowhere to push your toes under it. And the back of your head is very close to the sloping rear window, so you may need to protect your neck from the sun if travelling long distances there. For testing there were only two variations available: the 205bhp 2.7 twin-turbo V6 diesel 6-speed automatic and the 211bhp 3.0i V6 petrol 6-speed manual. We took the diesel first. Grand tourer it most certainly is. This car will cruise at ridiculous speeds with barely a murmur from the engine, hardly any wind noise and very little roar from the tyres. The tyres will start to squeak a bit if you really press on, because ultimately the car is an understeerer. But grip levels are very high and it isn’t upset even by quite vicious mid-corner bumps. Before we got into the cars we were warned they were so quiet we might find ourselves going faster than we thought we were. That didn’t happen to us, but I was lucky enough to be driven well and could see that a passenger might not be aware of how quickly he was travelling, even at close to 150mph. On the downside the six-speed autobox has the usual counter intuitive ‘Tiptronic’ selector, so that’s something best left alone. 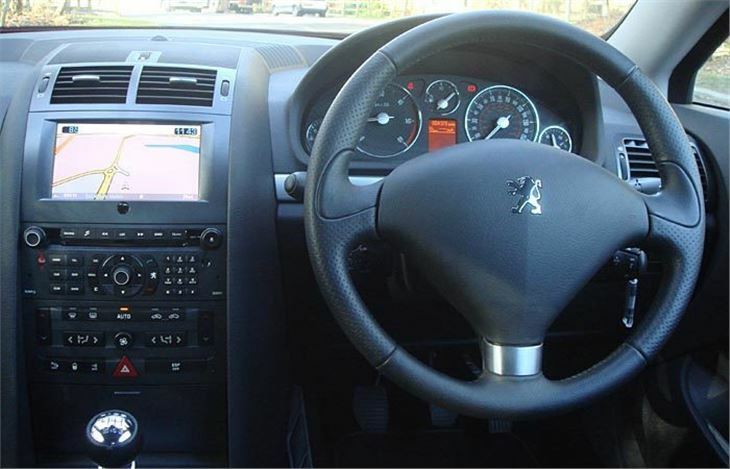 No steering wheel paddle-shifts or buttons either, but in truth it doesn’t really need them. In ‘sport’ mode the box seems to make pretty good decisions all by itself most of the time, with none of those emergency downchanges on the exits of corners that too often blight self-shifters. 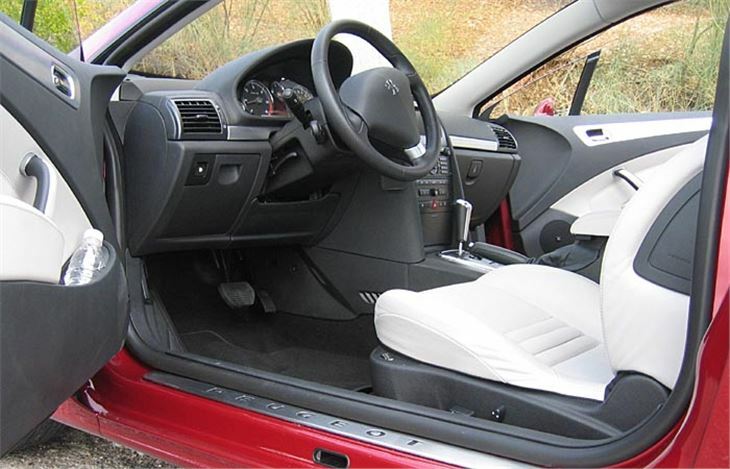 You can select Sport or Comfort suspension modes, both of which leave the system to select quite how sporty or comfortable things need to be according to your driving style. That works well too. And the ESP is switchable even though it doesn’t jump in and spoil the fun like those nice people working for your money in ‘speed camera partnerships’. 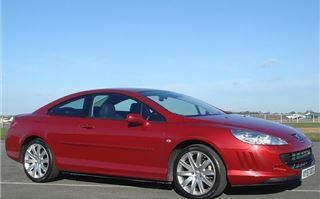 So the 2.7 V6 HDI gets the nod, again. (It’s the same engine though a completely different car from the Jaguar XJ diesel.) The 3.0iV6 manual is less impressive, even to the point of begging the question, why bother with a 3.0iV6 petrol at all? It’s only a tenth of a second faster to 60 than the V6 diesel automatic, while the 3.0iV6 automatic is actually several tenths of a second slower. And, of course, both petrol V6s use more fuel. The manual box doesn’t make it into a sportscar, either. The shift throws are too long. And, though it’s true the driver actually has more control of the gears for ultimate cornering speeds, he also has to let go of the steering wheel to change gear. So while it ticks the box of offering a 3.0iV6 6-speed manual version it didn’t do the business for either of us. 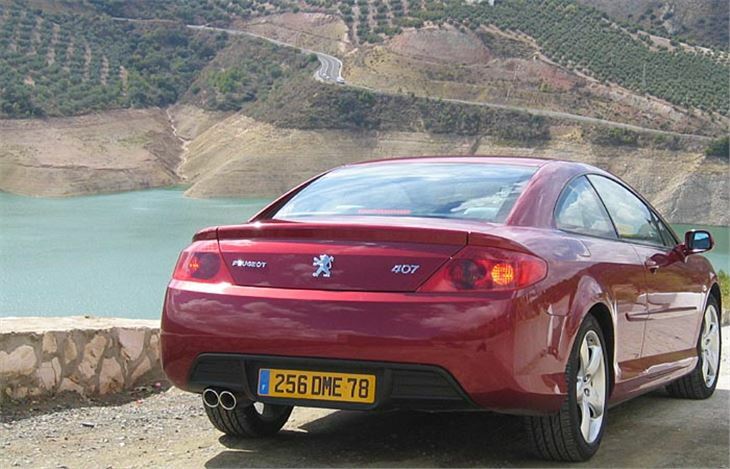 But ultimately, whether any version of the 407 Coupe is for you depends on two decisions: Do you love the style of the car? And are you prepared to sacrifice the status of a smaller engined, slower BMW or Mercedes for the same money? I’d have one rather than a CLK 200K. But instead of the forthcoming new 3-Series I’m not so sure. And there could be yet another breed of alternative. 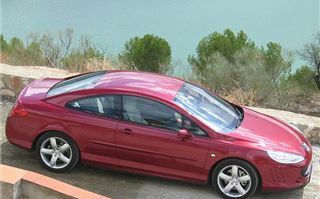 The new folding tin-top Volvo V70 and VW Eos, as well as the A4 and SAAB 9-3 cabrios. I had another chance to drive a 407 Coupe in early 2008, this time a 2.0HDI 136 Bellagio. It came in stunning metallic Flamenco Red with black leather, standard RT4 multi-media satnav and optional 19” wheels with Pirelli P Zero Nero 235/40 ZR 19 tyres. This version offers the same whisper-quiet drive as the 2.7HDI, rather rather performance, made up for by an astonishing 45mpg. On the move in the hard-to-find cruise control (hidden behind the steering wheel) it cruised at 70 at 2,000rpm in near silence, the only noise coming from those huge P Zero Nero tyres. Strangely enough, that was the only downside. Ride remains excellent (which speaks volumes for the 407 chassis), it straddles metre-wide speed cushions and absorbs flat top humps very well, and the grip on long sweepers is so outstanding I’d get scared long before it started to drift. Stir the sweet changing 6-speed box to find the power and torque, and that’s satisfying too. Over 200 miles I pushed the car’s average mpg from 45 to 46, which is outstanding, though on the brim to brim it only worked out at 42mpg, possibly because I brimmed it closer than the delivery driver. No complaints, though. An elegant, quiet-riding coupe with excellent handling and superb ‘birdview’ satnav graphics that returns between 42 and 46mpg. Can’t be bad.